*Occidental First Club Allegro Playacar* is a tropical paradise set amidst dazzling turquoise water, a pure, white sand beach and tropical foliage! This newly renovated resort is minutes from the quaint town of Playa del Carmen, where cruise ships come in to enjoy the unique shopping and savor the delicious Mexican restaurants. 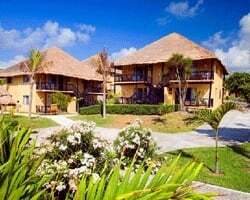 The resort offers 2-story bungalows with a Polynesian design that are completely modern within and decorated with bright colors of the sun and sunset. Guests and owners alike will experience truly unforgettable Mayan Riviera getaways, and the all-inclusive experience (fees apply) includes unlimited meals, beverages, snacks and a full/open bar. Resort amenities and activities are endless, with watersports, scuba lessons, supervised games for children and nearby tourist attractions, to name a few. 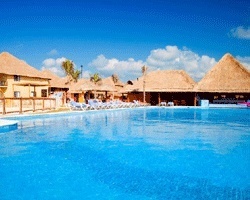 For more information about this fabulous resort, visit www.occidentalvacationclub.com or www.occidental-hoteles.com. Oceanfront resort with many watersport activities for everyone! Annual floating week! Inquire for details! Enjoy relaxing luxurious vacations in Mexico! RTU until 2036. Buyer may receive a title fee credit, inquire for details! Many international destinations avail. Odd years floating week with RTU until 2061! Buyer receives complimentary closing credit; inquire for details. 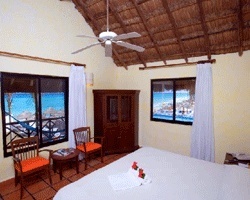 Oceanfront paradise near Playa del Carmen! Even years usage in floating, Red season week! RTU until 2110! Make an offer! Membership includes Bonus Time 14 days per year, also includes a Yacht Membership for 10 years! RTU until 2040!